I recommend everyone I know when they come to Thailand to simply sign up to a language school get their ED visa and spend the next 3 years living in Paradise and learning Thai. Learning Thai isn't as hard as people think but a good school can go a long way and one of the best schools to learn at is Walen. If you really want to live in Thailand but are not sure about how to go about it the best way is to come here on an Education Visa the ED Visa allows you to live in Thailand without having to leave the country for 3 years. You can leave the country if you want but honestly where would you go? Thailand is the best place to be that's why you're coming to live here right! Even if you are thinking about retiring here I still recommend you do the Language program because after 3 years at the school you'll be able to speak read and write Thai which will make your life here that much better. It's possible to renew the visa after another 3 years which I was going to do but I'm going to get a work visa instead as since I'm fluent in the language already I'm a little worried they may deny my application. Actually i'm interested to hear of anyone else who has extended the ED Visa beyond 3 years. The whole process of getting your ED Visa is the same for most schools, you pay your fees to the school give them your details and they do the paperwork for you. A few weeks later they have the paperwork completed and you have to take that paperwork and apply for the Visa outside of Thailand. You can only apply for the visa outside the country I went to Kuala Lumpur Malaysia which was a cheap and quick flight. But you don't actually have to come to Thailand to get the paperwork done, contact the school about 5 weeks beforehand and apply and have them send the paperwork to you in your country, apply for the visa at your local embassy then fly over once you have the Visa sticker in your passport. So how do you make money out of this? Well like I said Walen is one of the best known Thai language schools in the country and is even expanding now internationally with offices in most S/E asian countries it truly is a success story and you can be a part of it. About a year ago the owner Mac created what I'd call a pyramid affiliate scheme. Whereby if you sign up people at the school you can get a commission. Once those people have signed up other people you get a commission from the people that they have signed up. I did the math and if you sign up 10 people a month you could be making over 30,000 baht every month a nice little income you could even survive in Thailand on. I've probably recommended the school to hundreds and hundreds of people which I know have signed up but didn't make a cent out of it! Now if I sign someone up I make a $42 commission! Now that's a bottle of Red Label and mixers at the club! There is only one catch with the system though you have to be invited you can't just register yourself. Since I've registered already I can now invite you all to join and start making money by referring other people. Even if your not interested in making money out of referring people to the Thai Language affiliate program I recommend that you register so that I can help you out with the Education Visa. 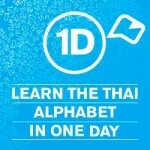 If you want to learn Thai then register. If you want to live in Thailand then register! It only takes a minute to do so and even if you're already signed up to the school or another school you can still be apart of this program. Anyone serious about living in Thailand should learn the language and this school really does have a good program for helping you learn. I studied at the school for months reading all their language books and it really did help me become more fluent in the language. Why not do 1 set of back-to-back Tourist Visa (9-12 months if you are from selected western countries) which gives you 1.5-2 years. Then do an ED for 3. Then go back to a set of back-to-back. That is about 5 years. Obviously this statement is for those well under 50. I know that there is hassle with the Tourist visa (leaving every 90 days and too many b-2-b and they get annoyed etc.) but what else is there if you aren’t interested in investing 10m baht or marrying a Thai? Firstly Tourist Visa you have to leave the country, ED visa you don’t, I don’t wanna go anywhere, same thing for older guys. You can start a business here and get a visa without investing more than 500,000 baht see a lawyer he can set it up for me, or ask me to introduce you one. Marrying a Thai does not exactly give you the right to stay here either. 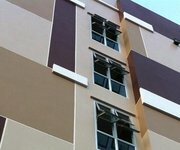 I’m a student at Walen and I agree with you, it’s a good school. Funnily enough, I was at a class tonight and the teacher was talking about the scheme, as it’s new – although I hasten to add, she wasn’t trying in any way at all to get people to do it; no sales pressure! Personally, I think finding 10 people a month to sign up would be quite a challenge but I wish you good luck. With the regular email you’re doing here, you’d probably have a better chance than most. I too would be very interested in hearing any stories from people who’ve extended their ED visa beyond a third year, as I’ve just started my year 3 and I don’t want to be still wondering what to do next when the time runs out. You can get up to 10 years on an Ed visa. Only 3 years for one language, so try learning Italian, Russian, Japanese, Spanish…etc. This will allow u to keep the Ed visa for an additional 3 years before jumping to another language that you “Will” want to learn in Thailand. Its the biggest gray area of all time in Thailand and the schools know the deal. That’s true, but I’ve had enough of learning a language and the new visa i get is cheaper and no hassles. Can anyone recommended me schools in bangkok that would provide me with ed visa, learning an other language then thai, like Spanish, Italian or korean? Cheers! This is just another of Mac Walen’s Ponzi schemes. If you’re stupid enough to join a Ponzi scheme then you deserve to lose money. lol that’s so funny! A Ponzi scheme would make you invest money, here I don’t have to invest any money so how am I going to get scammed? Refer someone to the school you make a commission that’s it! Nothing to it. I honestly don’t know how seriously we should take this post because you get commissions and because almost everyone I know that studied at this school was very negative about it (the only positive point seems to be that they are good at paperwork for the visa). Most of the schools in Thailand are crap, I like the walen method and sure it’s slow if you go to the school but if you do extra study like go to the school and have the girls help you out (outside of your normal class schedule) you can get a lot out of it. but u just did it again,, NO commission! Chris, I’m surprised u recommend Walen. I used to have a lot of respect for all your advice. But Walen School should be called Wally School. It’s hopeless. Very poor service. It’s the worst language school in Thailand and I’ve experienced pretty well all the major ones. It’s just not true that they are all crap. Some of them are excellent, and they are all miles better than Walen. I hear that from a lot of people right, in fact I’ve deleted several comments from people that have said similar things. It’s not that I don’t care about bagging out Walen but I’ve read the material. I speak Thai fluently and I’ve been to other schools like pro language etc etc and honestly the book as cheap as it is in Walen it’s a good way to learn written and read Thai. The service is horrible sure but you know what I havn’t seen anyone become fluent from other language schools either you have to pick one for an ED Visa may as well pick walen because their focus is on reading Thai which I strongly recommend. Just one point about the ED visa; you do have to leave the country once a year. I got caught out by that in January. It was partly my fault; I suddenly realised that the 90 day extension in my passport must be nearly finished. I went to check and sure enough, it was due to finish the very next day. So I went along to Walen that day (which was a Friday, just to add to the complications) and asked if they could give me a set of the necessary papers, like, now. I hit the roof. Then the manager and owner guy, Mac Walen, got involved. He said he could work it so I didn’t have to leave the country, but I’d have to do the renewal thing in Pattaya, both that time and in the future. I’ve been on it 3 years and got 1 year at a time but as I understand the rules have changed and you only get 90 days in the first year then after that you get the year visa but you don’t have to leave so i’m confused by what happened to you. I know that in Pattaya and Bangkok rules are very strict but here in Chiang Mai immigration is very relaxed another reason to live in Chiang Mai. AM a KENYAN/BLAK AFRICAN GUY,former volunteer in phuket THAILAND,TEFL/TESOL CERTIFICATION ONSITE COURSE(CERTIFICATE OF ATTENDANCE),2007.THEN I ENROLLED IN THAI WALEN SCHOOL AFTER GOING TO LAOS FOR A VISA RUN.I STUDIED FOR SOME TIME BEFORE LEAVING COMING BACK TO KENYA,I WOULD LIKE TO COME BACK AND ENROLL.I CAN ALSO MARKET THE SCHOOL HERE IN KENYA.